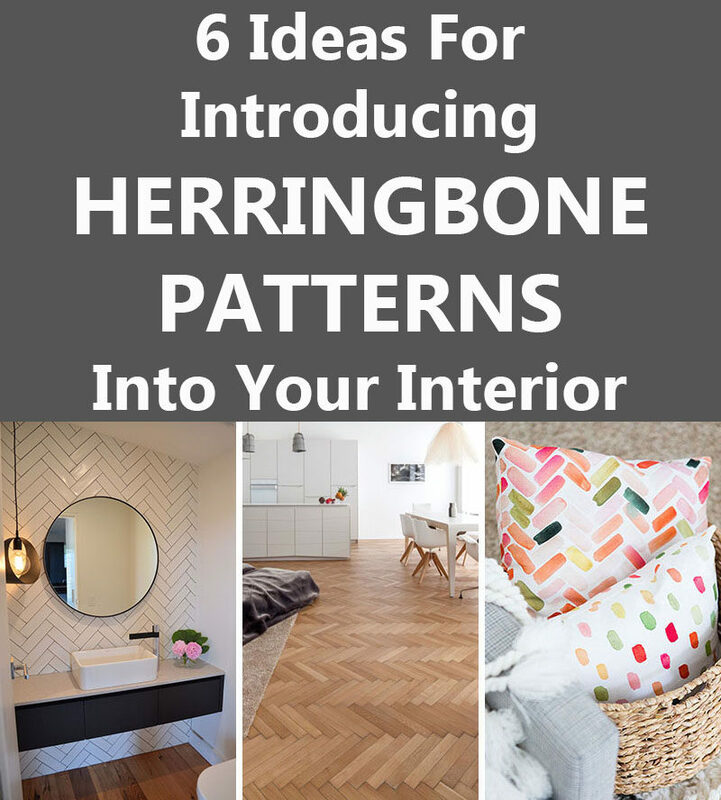 Herringbone is a fun way to bring pattern into your home without being over-powering. There are a number of ways you can introduce it into your home, let’s take a look. 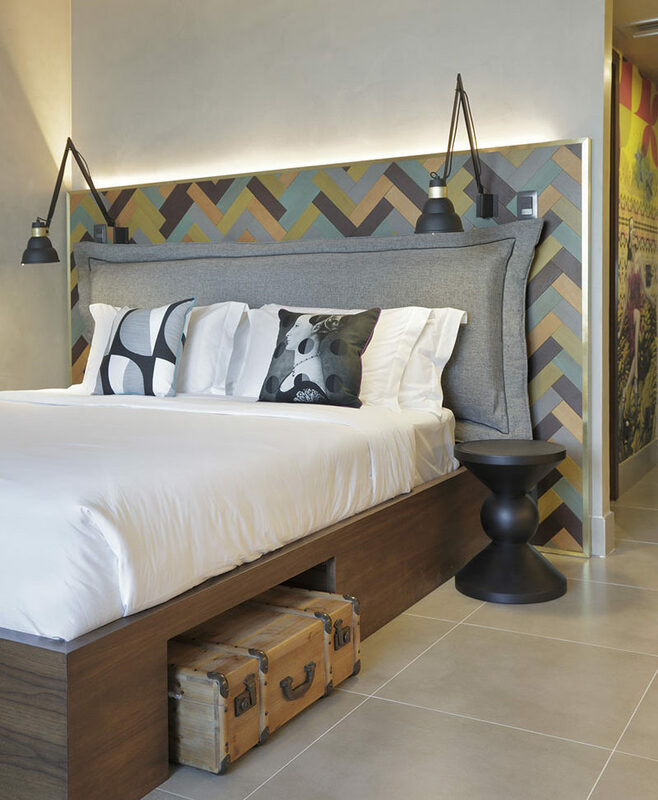 A herringbone feature wall creates an eye catching design element in whatever room its in. 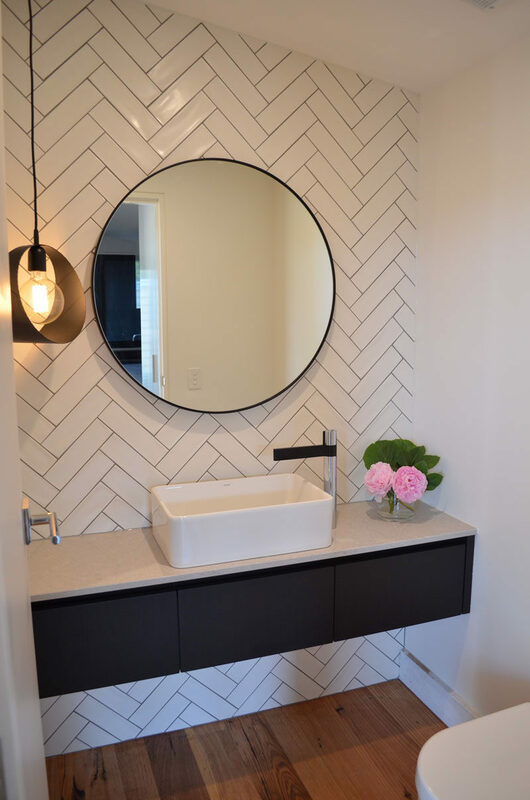 A wall of wood panels in the bedroom, a tile wall in the bathroom, or panels in the living room, all arranged in the herringbone design make for unique displays that show off your creative and stylish side. 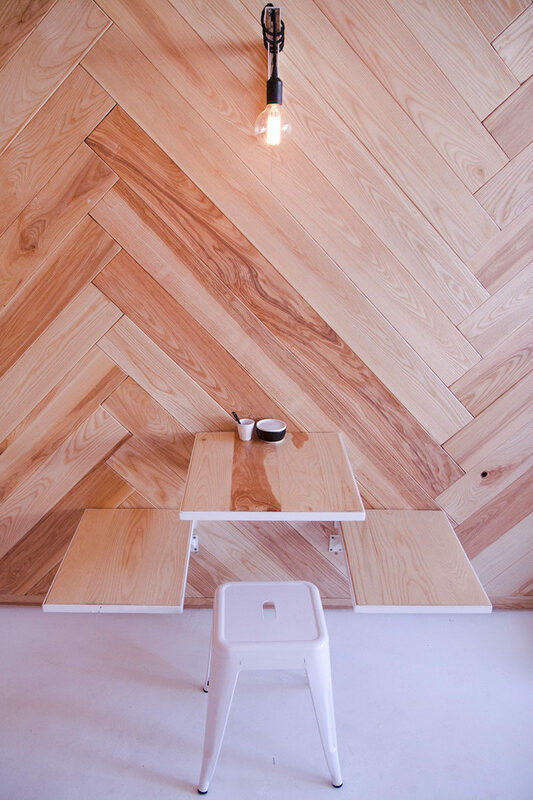 Interior design by Lucky Pony. Photography by Andrew Berry. 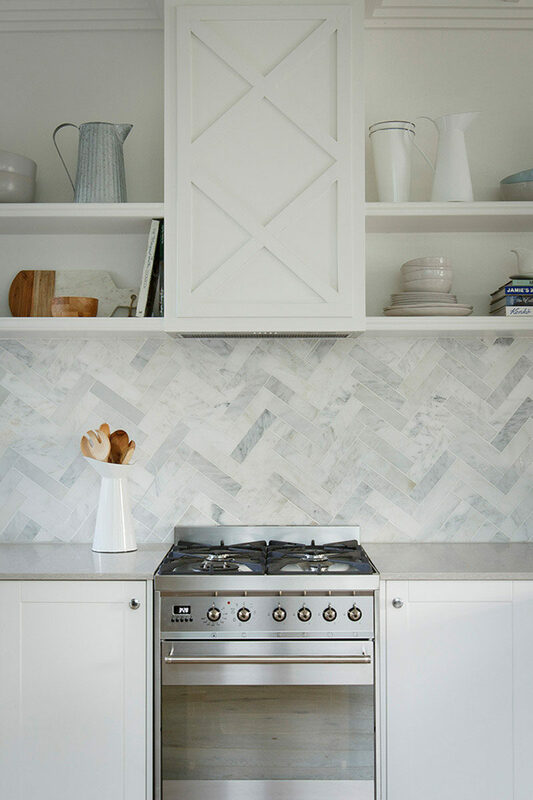 A twist on the traditional subway tile arrangement, the herringbone pattern as a wall in a bathroom or a backsplash in a kitchen makes for a more unique element and adds the modern herringbone pattern to your home in a subtle sort of way. Wood headboards are an easy way to add warmth and coziness to your bedroom. 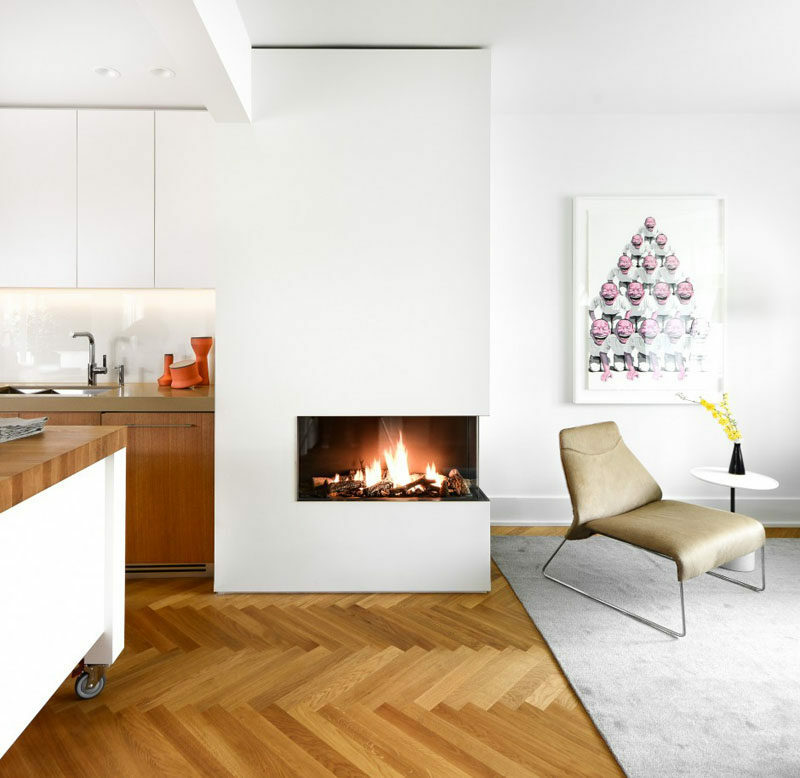 Brightly colored hardwood strips arranged in a herringbone pattern and surrounded with a trim that matches your accent colors makes for an unexpected design detail. Plus it’s completely customizable, making it possible in bedrooms of all color schemes. Inspiration from Yoo2 hotel. Interior design Yoo Design Studio and Melina Romano. Photography by Denílson Machado. If you like the herringbone design and want it in your home without it overwhelming your space, consider herringbone patterned pillows. It’ll soften your space and bring in a bit of texture and pattern but won’t be distracting or overpowering. 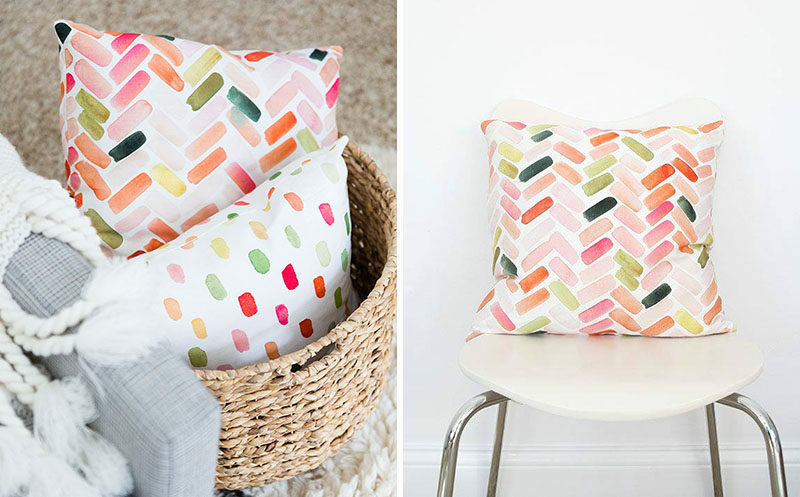 Pink & Orange Herringbone pillow cover by Yao Cheng Design. 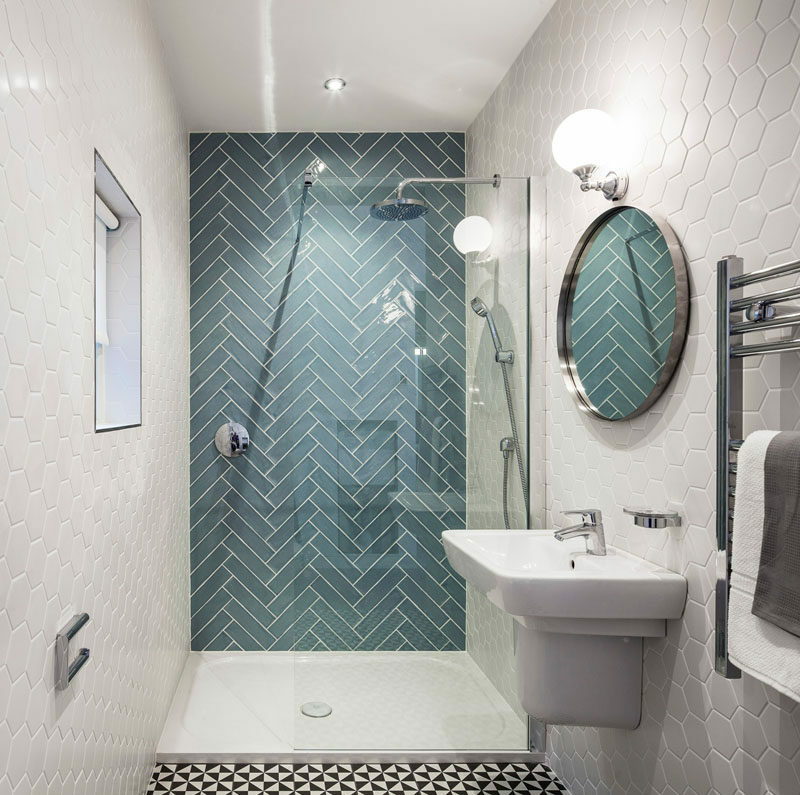 Modern artwork is another way to introduce a herringbone pattern. It adds personality to your space, warms it up, and makes bare walls a little more fun. 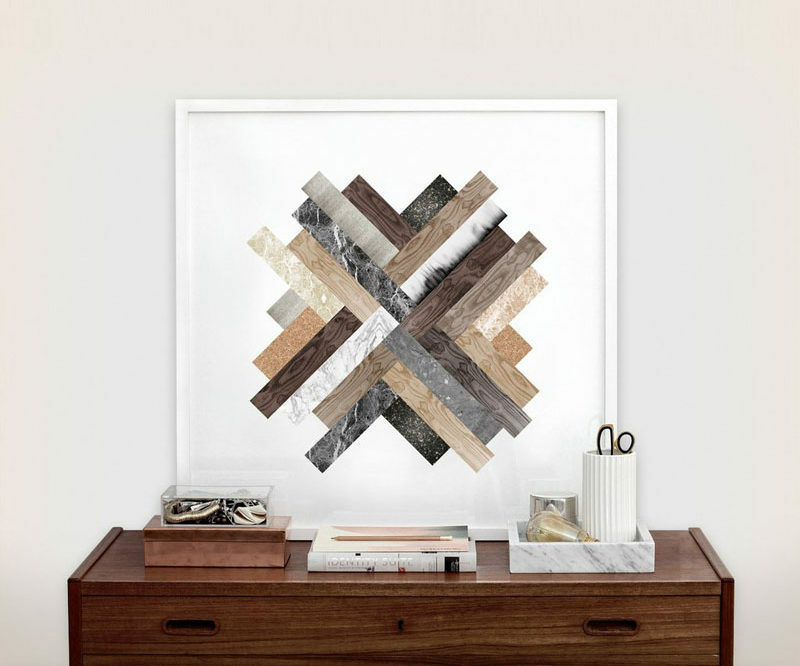 Herringbone Fusion Art Print by Kristina Krogh. Available through Snoku. A subtle way to make a patterned statement is to put it on your door using a dark color wood. 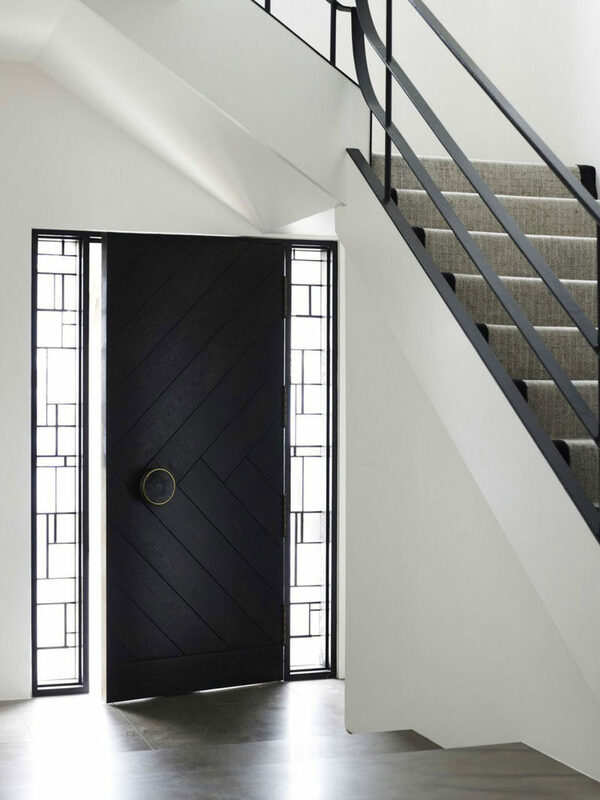 This dark door makes a statement on its own but the herringbone pattern on the back of it adds a bit of extra style and unexpected texture to the entry way. Inspiration from a home designed by Kerry Phelan Design Office and Chamberlain Javen Architects. Photograhy by Derek Swalwell. 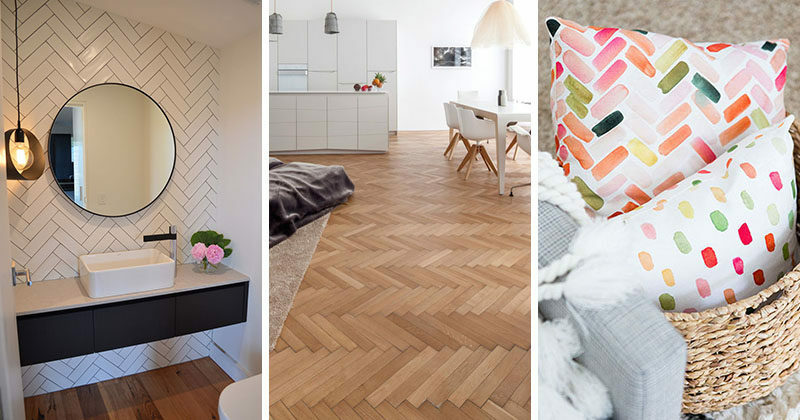 Perhaps the most obvious way to include the herringbone pattern in your home is in your flooring. 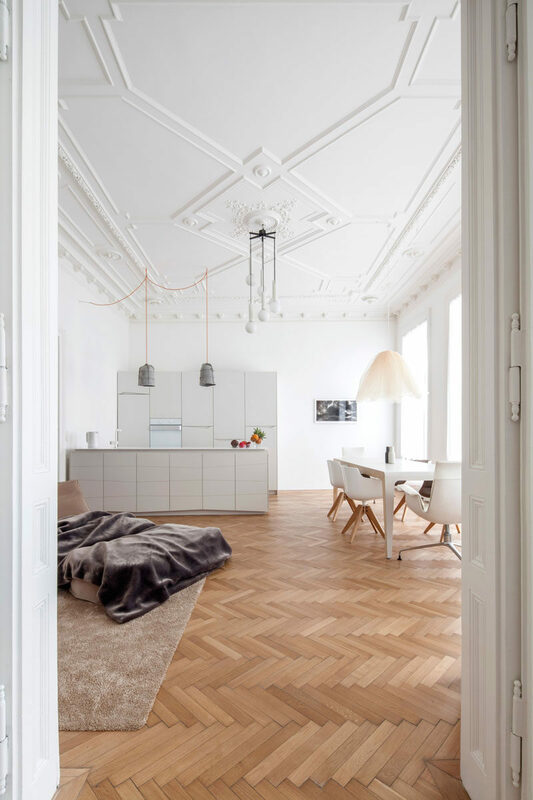 Wood flooring can be arranged in a herringbone design to create a delightful focal point. Inspiration from a home designed by Falken Reynolds. Photography by Janis Nicolay. 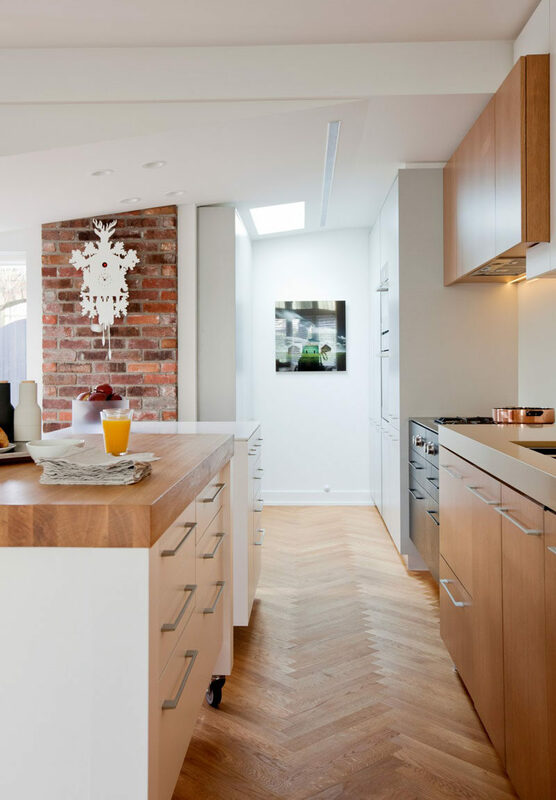 Inspiration from a home designed by Destilat Architecture + Design. Photography by Monika Nguyen.